Indigo blue is one of the trend colours for this summer. The images above are from the Toast cataloque. The bedroom image below is from Mark Eden Schooley. With the products above you can bring some indigo into your home. 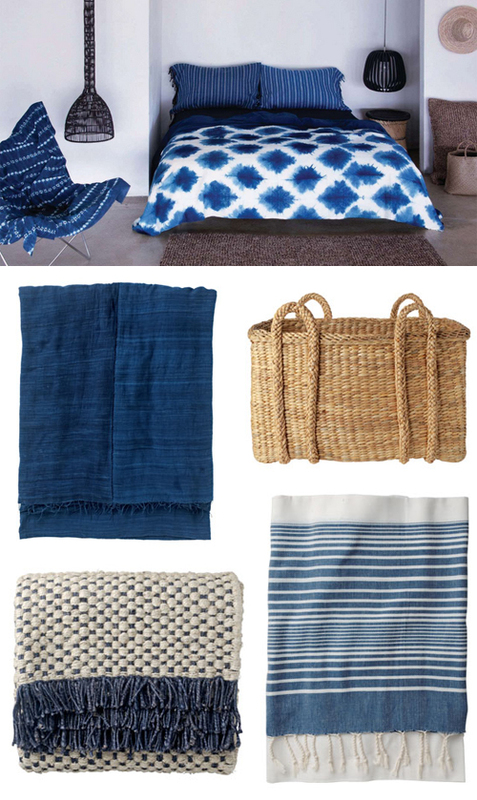 Clockwise, starting top left: traditional Ethiopian shawl that can be used as a throw, blanket or wrap; water hyacinth storage basket; striped Hammam Towel; chunky and hard-wearing jute rug, woven in India on a traditional punja loom. 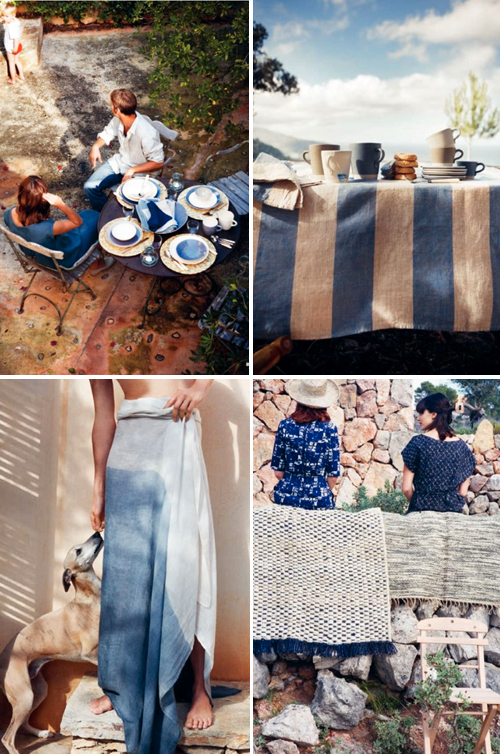 More indigo inspiration will follow in the coming days! I love that pictures! They represent perfectly the summer atmofere! !